There are lots of things kids need separately at a certain age to enjoy much ease and comfort. And from their tiny dining tables to small study tables or picnic tables all need a comfortable seating chair. Using the recycled pallets you can simply create a kids chair and to let your kids enjoy a seat of their own. You don’t to involve in complicated structures and designs as a simple and common chair design is nice and easy to get your hands on. 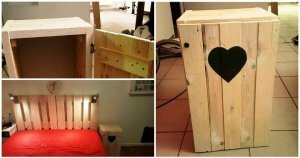 Like this DIY pallet chair for your cute kid’s has been created at home using the cut out piece of the pallets in the form of custom size slat and plank pieces. With a berth, four straight legs and a backrest this adorable chair is super feasible to build yourself with basic cutting and hammering tools. The name of the kid stenciled at the backrest of the chairs adds much to the uniqueness, cuteness and personalized of the chair and some vivid paint colors would bring more excitement to it. With this cute pallet chair you kid can enjoy a comfort seat in any section of the house. 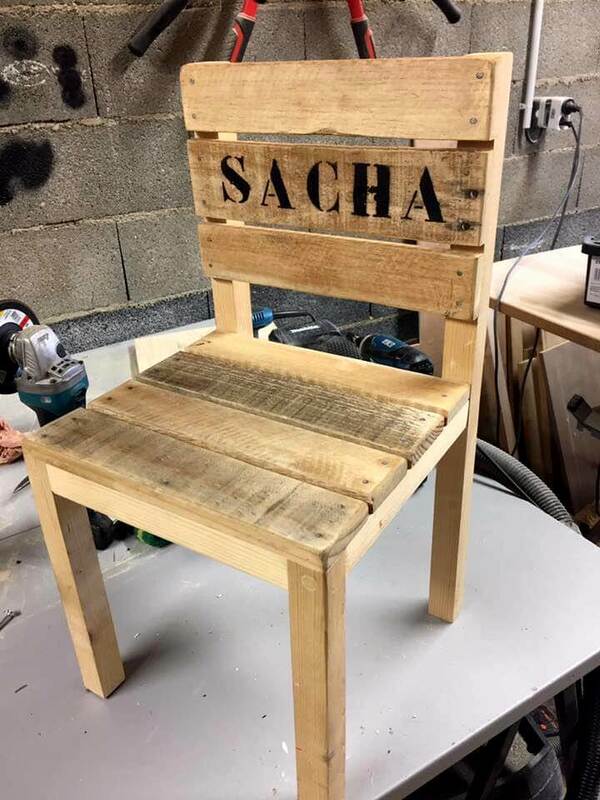 The wooden pallets have been cut into lots of thin and small slat pieces to shape this cute and adorable chair. The design of this Kid’s chair is too simple and common and would be easy as hell to create it of your own. The name of the kid has been stenciled on the top of the backrest making it kid’s more love able chair.